Getting a home inspection is important because you’ll want to know ahead of time—before you go to settlement—if there are any defects, damages or other problems with your new home. 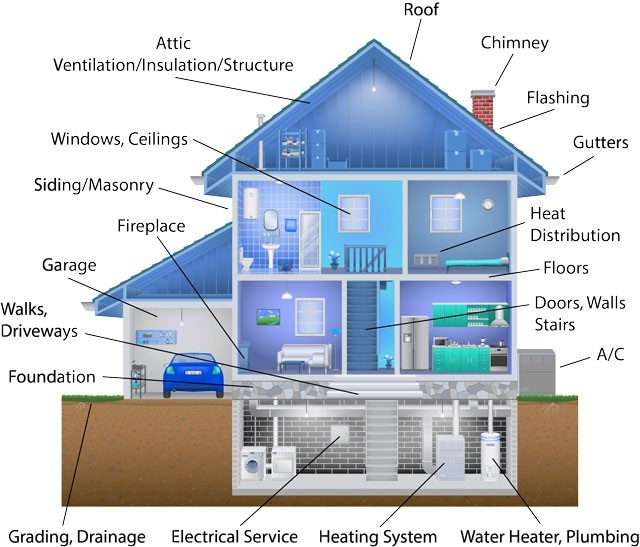 As for what the inspection will entail, the home inspector will thoroughly check all areas of the home including the plumbing, wiring, air conditioning and heating, windows and doors, appliances, flooring, roof, chimney, and many other areas. They’ll also keep an eye out for common problems such as structural issues, mold and mildew, water leaks, moisture problems, and insect infestation. Generally, a home inspection will take about two hours to complete, depending upon the size of the home and the number of problems/issues encountered. Not only should you be present during the inspection, but you should also follow the inspector throughout the house to get a firsthand look at any current problems and to be aware of any other issues that may occur over time (such as the lifespan of the roof, etc.). At the end of the inspection, you’ll want to sit down with your inspector and discuss any issues with the condition of the home.